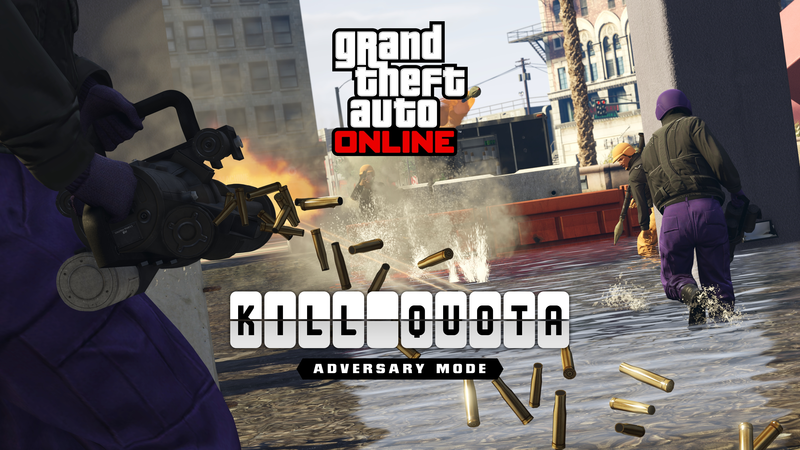 It's murder-by-numbers in Kill Quota, the newest team-based GTA Online Adversary Mode for up to 16 players across 2-4 teams. Starting off with a high-powered weapon from one of four distinct loadout options, each team must hit the designated body count before advancing to a more challenging and less powerful armament, culminating with a final, one-hit-kill melee round. The first team to successfully cycle through all six weapons in a match (or have the highest count at the end of the time limit) wins. Earn up while exploring the new Kill Quota mode through November 28th, scoring Double GTA$ and RP for playing any of the seven new maps. 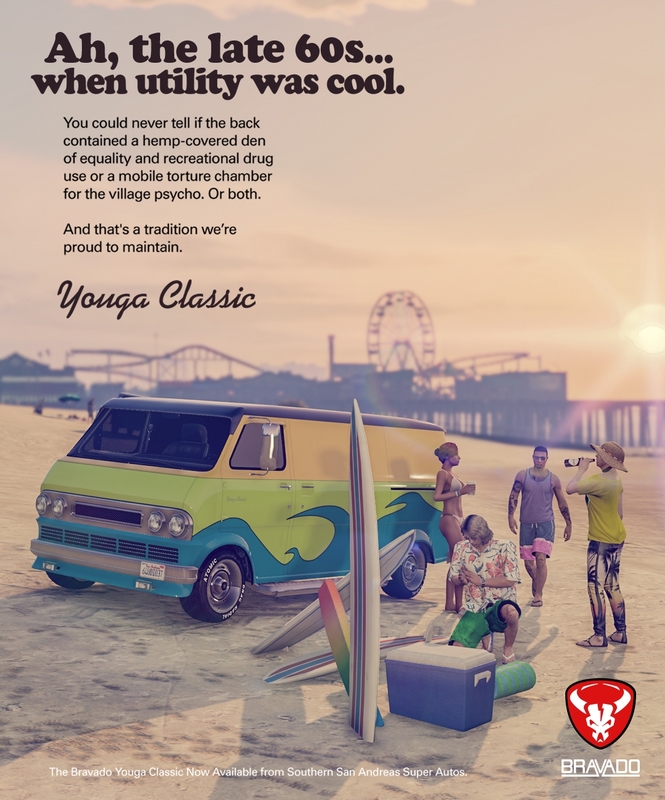 Pick up the pinnacle of authenticity and counter-culture, the Bravado Youga Classic from Southern San Andreas Super Autos. A true utility vehicle, this beach-bound beaut with high suspension will keep them all wondering what's going on in the back. This is one van you'll want to come a knockin' on. 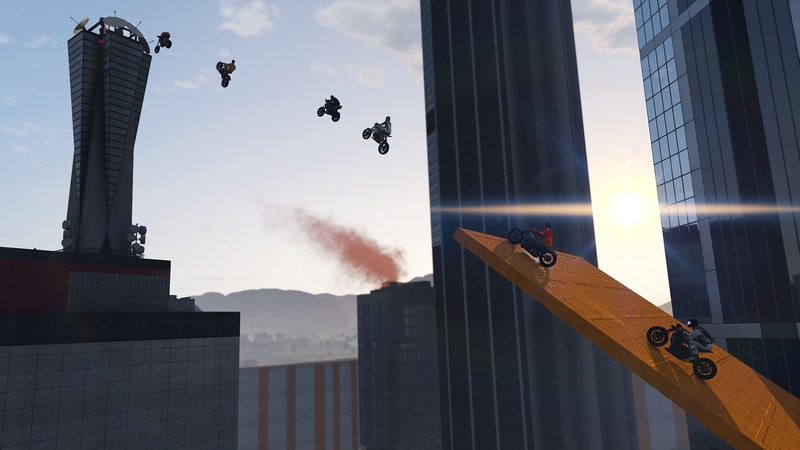 Saddle up and soar through the Los Santos sky in this week's Premium Race, High Flier. Locked to Bikes and Non-Contact, you'll earn Triple RP just for giving it a go. And if you finish top three, substantial GTA$ prizes await. Available through November 28th.